Boosting on a Budget: Greddy Kit Done *Right* - Page 2 - Miata Turbo Forum - Boost cars, acquire cats. I was thinking like a forum discounted price or something of that nature. Ah, gotcha. I didn't know if they did that or not. 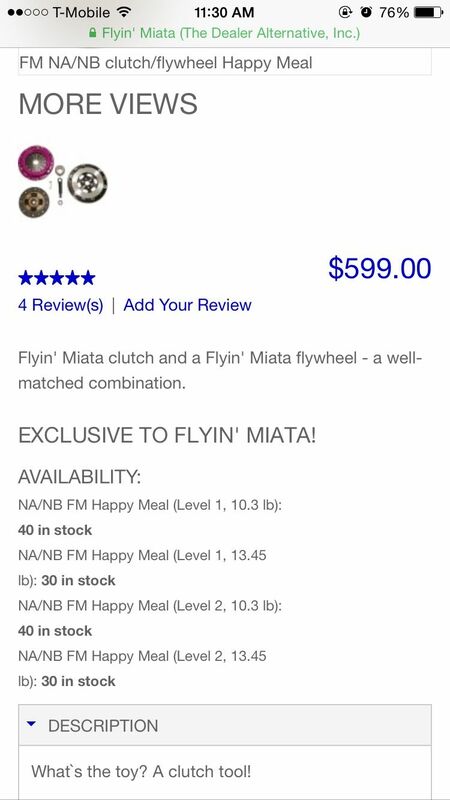 Their website shows that they have Happy Meals in stock so maybe I can get them to sell me just the clutch kit without the flywheel. That link doesn't specify if they have any in stock, though. But the Happy Meal link does show stock... So I guess they have them. I know... I'm saying that it doesn't show how many they have in stock of the FM Stage 1 like they do with the Happy Meals. I'm sure they do have them in stock, though. Will most likely be ordering later this afternoon. Alright, they don't have stage 2s in stock even though the site says they are in stock under the Happy Meal section. He said that they will update it ASAP. They are still waiting on the heavy duty throwout bearings from Competition. The guy I spoke to said that they might be in within a few weeks. I think I will just go for the stage 1 because I don't ever really plan on being over 300 wtq anyway. You only need the stage 1 on a stock motor. Just ordered my FM Stage 1 clutch kit. Should pair nicely with my resurfaced '05 Mazdaspeed flywheel. Will post pics when everything comes in! Picked up this brake setup last night for $50! 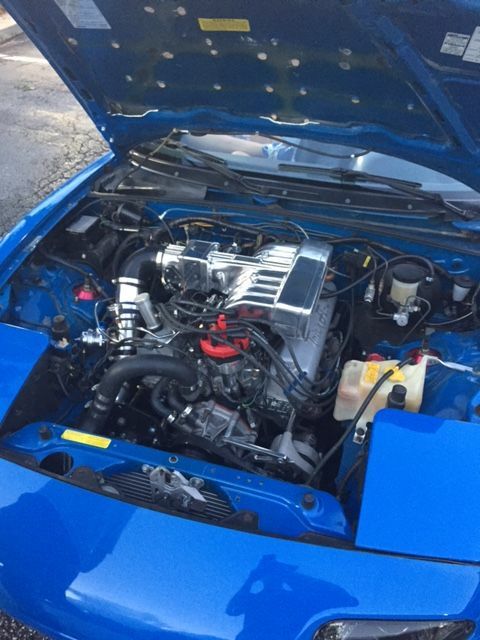 The guy who sold me them swapped a supercharged 5.0 into his Miata. 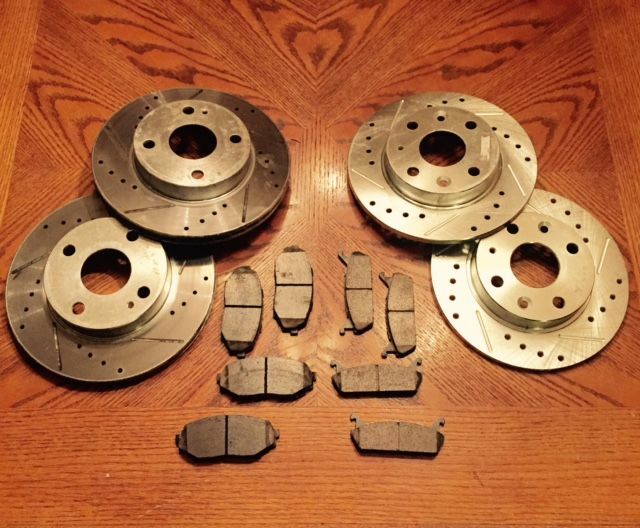 He bought this Power Stop rotor and pad kit from Summit Racing and decided that it wasn't going to cut it for him after 100 miles of driving on only the front setup. He ended up going with a full big brake kit from Wilwood. So I got a (basically) brand new $300 performance brake setup for only $50, nice! I've read that the 1.8 brake swap isn't really worth the money/effort and that it is better to just spend some money on a good set of pads and a good set of rotors. So this is exactly what I was in the market for and then these popped up. Weird. My local club that hosts autox events requires you to have a roll bar. Regardless, I would like to have one just for piece of mind. I'd double check that. They don't.